Just a year ago, Dakota Johnson was cozying up to Jamie Dornan in Fifty Shades Of Grey, but, this Valentine’s Day, she’s an independent woman trying to navigate the dating world in How To Be Single. 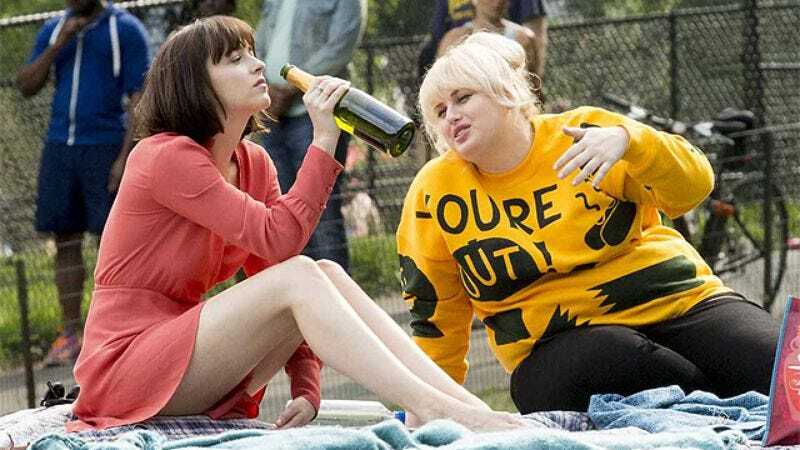 Free from the (literal) shackles of coupledom, Johnson plays Alice, a newly single twentysomething who gets by with a little help from her friends played by Rebel Wilson, Leslie Mann, and Alison Brie. How To Be Single opens nationwide on February 12, but The A.V. Club and Warner Brothers Pictures have an opportunity for you to see it for free on February 8. For your chance to win a pair of passes to the advance screening, simply follow the link here and enter your information. Remember: Advance screenings are often intentionally overbooked, so be sure to arrive early if you want to guarantee yourself a seat. One grand prize winner could also win a How To Be Single “Morning After” gift basket, courtesy of Coffee Beanery. If the cheeky title wasn’t enough of a hint, the package includes everything you might need after a night out on the town: Coffee Beanery’s Sinful Sundae coffee with a How To Be Single travel mug, a vanity notebook, a Nookie Vitality cookie from The Cookie Department, and a How To Be Single survival kit, featuring Bliss Spa body butter, gum, a toothbrush, and more. For a chance to win the gift basket, head to the linked page and enter your information. The winner will be notified via email. An official synopsis and trailer for the film can be found below.